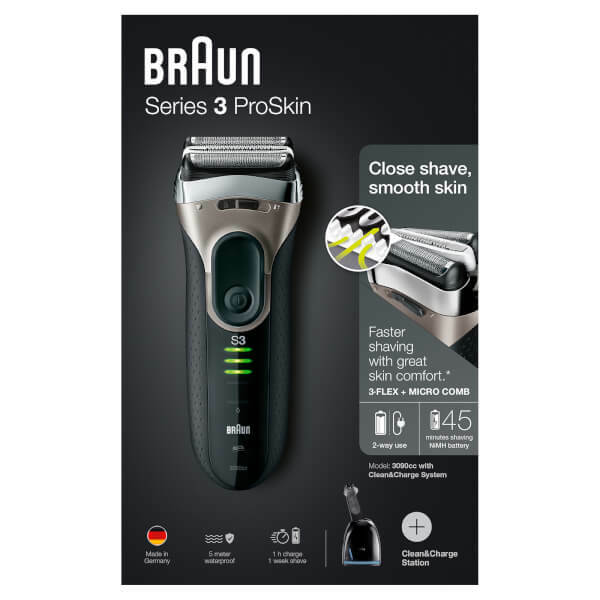 This Braun Series 3 Shaver provides you with the cleanest, closest and most comfortable shave yet. 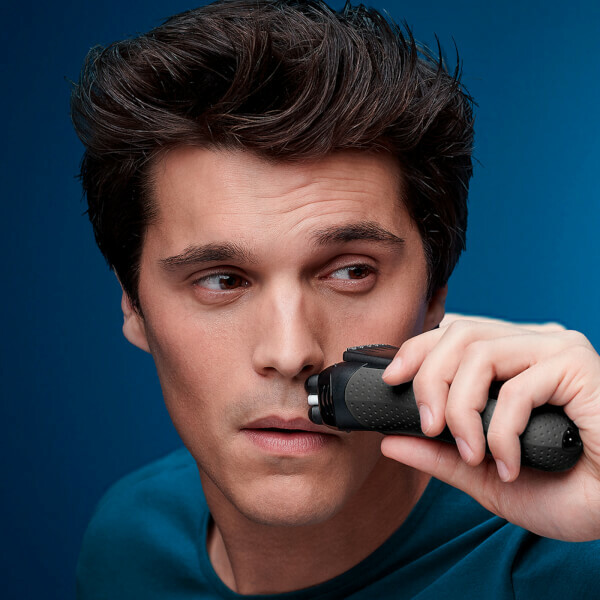 With an innovative design and ingenious features, you can be stubble free and smooth faced with the world's best selling foil shaver. 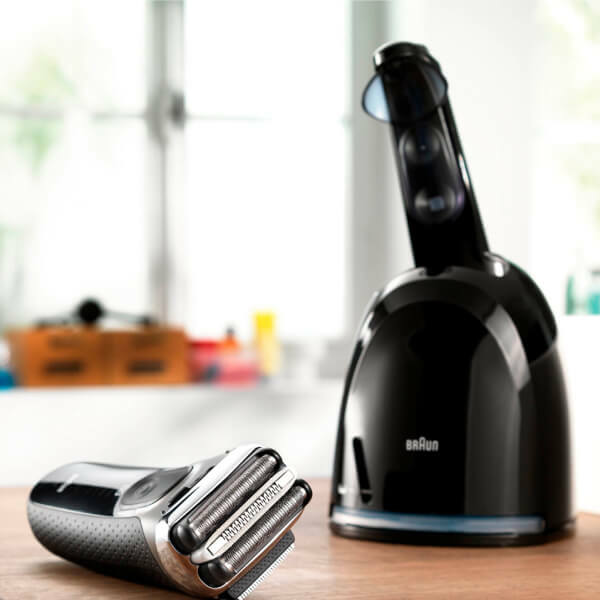 The new SensoFoil™ technology ensures that you receive a more efficient shave with optimised foil cuts that cut hairs more easily, whilst the triple action cutting system boasts twin foils and an integrated middle trimmer, meaning that each stroke shaves progressively closer. 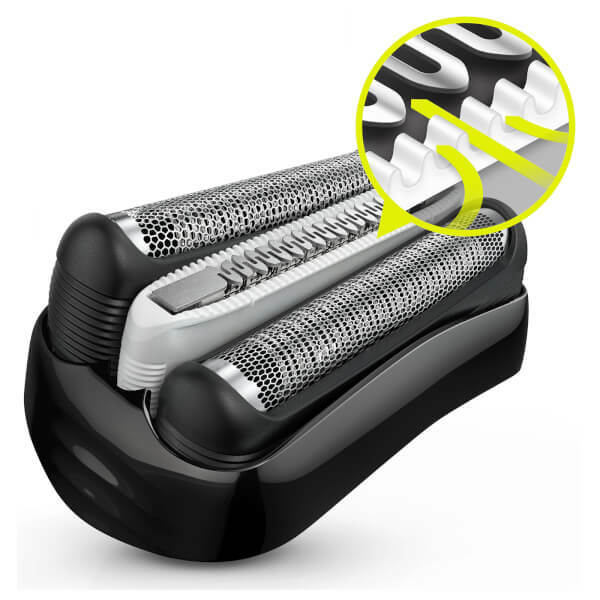 The patented triple action free float system means that both long and short beards can receive a high quality shave, with three independently moving cutting elements that adapt to your face and cut with ease and comfort. This 390cc-4 shaver comes with the world's only alcohol based cleaning centre; the pioneering Clean & Renew™ system. 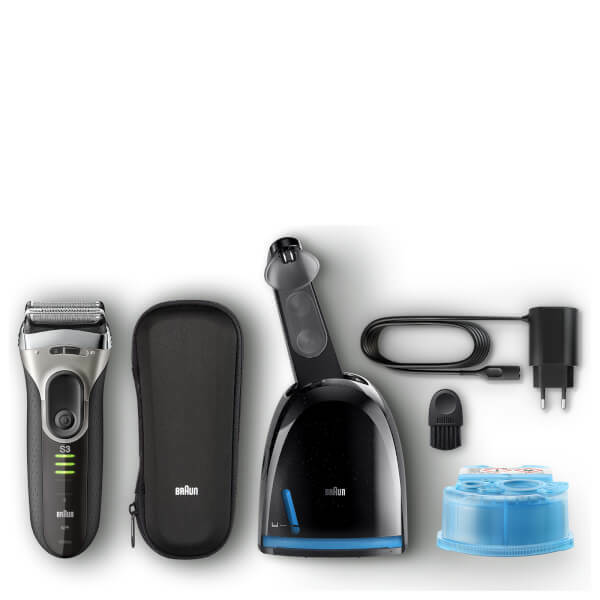 Keeping your shaver hygienic and clean, this system de-germs and re-charges at the touch of a button, and gives you automatic lubrication whilst shaving. Giving off a fresh lemon scent, this Clean & Renew™ system is convenient and innovative. And if all this hasn't impressed you enough, the Series 3 is 100% water proof and comes with a charger that will give 45 minutes of shaving time after only 1 hour of charging. 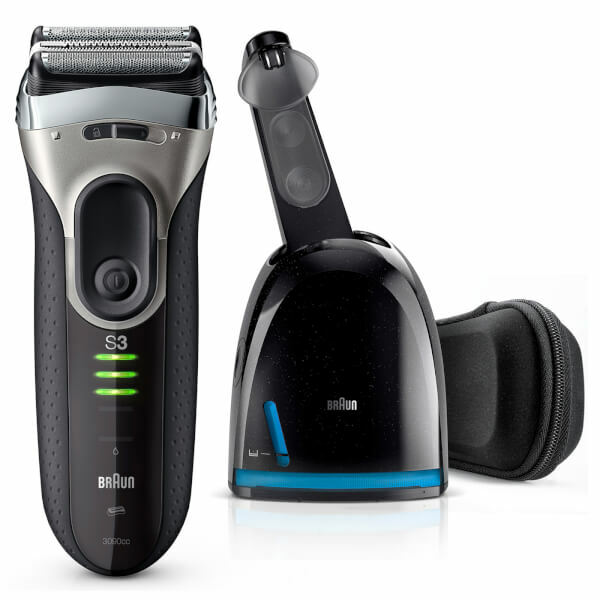 Or, you can plug in for only 5 minutes and have enough charge for one shave. This really is all you could ask for in a shaver.